Dennis L. Molfese, Ph.D. is an internationally recognized expert on the use of brain recording techniques to study the emerging relationships between brain development, language and cognitive processes. He received his Ph.D. in Psychology from the Pennsylvania State University. He is a Chancellor's Professor, Director of the Brain Imaging Center at the University of Nebraska-Lincoln, and Director of the Developmental Neuroscience Laboratory there. He is the Editor-in-Chief for the scientific journal, Developmental Neuropsychology, and serves on the editorial boards for the Annals of Dyslexia, and for Eye and Brain. Dr. Molfese served as the Chair of a number of national panels in the U.S.A. on Learning Disabilities as well as on numerous NIH, NIMH and NSF grant review panels. He is co-director of one of 15 national laboratories in the U.S.A. that make up the National Institutes of Health Reading and Learning Disabilities Research Network. He is the recipient of a number of honors for outstanding research contributions from societies such as Sigma Xi and Phi Kappa Phi and received the Kentucky Psychologist of the Year Award. A Fellow of both the American Psychological Association and the American Psychological Society. His research has been continuously funded since 1975 through grants from the National Institutes of Health, the National Science Foundation, Department of Education, The National Foundation/March of Dimes, the MacArthur Foundation, the Kellogg Foundation, NATO, and NASA. Dr. Molfese has published some 150 books, journal articles, and book chapters on the relationship between developing brain functions, language and cognitive processes. Dr. Molfese has teaching interests in Cognition, Development (Infancy, Child, Life Span), Developmental Neuropsychology, Electrophysiological research methods, Experimental Methods, Introductory Psychology, Neurocognition, Neurolinguistics, Physiological Psychology, Developmental Psycholinguistics, and Speech Perception. He has supervised 64 Undergraduate Student Honors Theses, 31 Masters Theses, 19 Dissertations, 9 Postdoctoral Fellows, and serves as the mentor for a number of K31, K32, K01 and K02 NIH awardees. He also has served as the external examiner on a number of international Doctoral Dissertations. 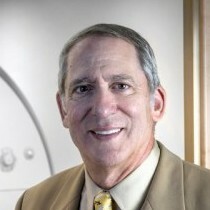 Dr. Molfese serves as a consultant to a number of groups including the Finland National Longitudinal Study on Dyslexia, the Krasnow Institute for Advanced Study at George Mason University, Virginia, the Child Study Center in the School of Medicine at Yale University, Haskins Laboratories, Electrical Geodesics Inc., the Government of Belize, C.A.. He also serves on the Scientific Advisory Committee for the Arkansas Child Nutrition Center and the External Advisory Board of the Language Research Center at Emory University in Atlanta, Georgia.